Gas detectors can be found in all walks of life, from food processing plants to parking garages, from aeroplanes to casinos. Any place that can have a potential lack of oxygen or presence of toxic gas needs a gas detector present to monitor the safety of people. Some common uses during field projects are: confined space entry, well drilling, soil screening, area monitoring, worker safety, indoor air quality, and leak detection. Of course they have been around for a very long time, starting with the canary, which was sadly a one shot trick that when subjected to methane tended to die rather quickly, with no audio visual alarm capabilities other than a slight chirp and a total lack of motion. Fortunately, technology has advanced significantly and we find ourselves at this point in time with some very sophisticated electronic equipment. How do gas detection sensors work? Modern technology will no doubt make the below explanation outdated as it strides forward, so quickly below are the basics. The oxygen sensor is an electromechanical sensor. Any gas that can be oxidised or reduced electromechanically can be detected by means of a fuel based electrochemical sensor. The consumption of oxygen produces a current that is linearly proportional to the concentration of gas in air. Since the oxygen sensor is constantly exposed to oxygen, the normal life of the sensor is between one and two years. The combustible sensor consists of two coils of fine platinum wire each embedded in a bead of alumina, connected electrically in a bridge circuit. One of the beads is impregnated with a special catalyst that promotes oxidation and the other is treated to inhibit oxidation. Current is passed through the coils so that they reach a temperature at which oxidation of a gas readily occurs at the catalysed bead (about 500°C). This raises the temperature further which increases the resistance of the platinum coil in the catalysed bead, leading to an imbalance of the bridge. This output change is linear, for most gases, up to and beyond 100% LEL and response time is only a few seconds to detect alarm levels (typically 20% LEL). The toxic sensors are also electromechanical and operate by the same basic principles as the oxygen sensor. Electromechanical sensors consume minute amounts of gas, the absorption of gas and electric output being controlled by a “diffusion barrier”. A confined space is any space large enough for someone to enter and perform assigned work that has limited means of entry or exit, and which is not designed for continuous worker occupancy. This covers just about every industry, including utilities, construction, hydrocarbon exploration and processing, petrochemicals, marine, agriculture, food processing and brewing, as well as the emergency services. Employers must assess the risks these workplaces pose to their employers and endeavour to prevent them. In most cases, both assessment and the safe working system will require testing of the atmosphere with gas testing equipment. Confined space gas risks can be divided into three broad categories: combustible gas, toxic gas and oxygen depletion or enrichment. For combustion to occur the air must contain a minimum concentration of combustible gas or vapour. This quantity is called the LEL. Different compounds have different LELs so it is vital that detectors are capable of detecting at the correct levels. Typically, storage vessels which have contained hydrocarbon fuels and oils present a danger. Other dangers come from fuel leaks: burst fuel containers; pipelines on and off site, gas cylinders and engine driven plant. For workers in pits, sewers and other sub-surface locations, methane formed by decaying organic matter is an almost universal danger. Confined space workers may be exposed to many toxic compounds, depending on the nature of the work. A risk assessment should be made of which toxic substances a worker may be exposed to in any given work situation. When looking at toxic gases related to specific applications, the water industry for example uses many toxic compounds for cleaning and processing both waste and clean water. Hazards such as chlorine, ozone, sulphur dioxide and chlorine dioxide then pose additional risks both in storage and treatment areas. Oxygen - too high or too low? The normal concentration of oxygen in fresh air is 20.9%. An atmosphere is hazardous if the concentration drops below 19.5% or goes above 23.5%. Without adequate ventilation, the simple act of breathing will cause oxygen levels to fall surprisingly quickly. Combustion also uses up oxygen, so engine-driven plant and naked flames such as welding torches are potential hazards. Oxygen can also be displaced. Nitrogen, for example, when used to purge hydrocarbon storage vessels prior to re-use, drives oxygen out of the container and leaves it highly dangerous until thoroughly ventilated. High oxygen levels are also dangerous. As with too little, too much will impair the victim’s ability to think clearly and act sensibly. Moreover, oxygen-enriched atmospheres represent a significant fire hazard. Both portable and fixed gas detectors can be used for confined space monitoring. Fixed systems typically comprise of one or more detector “heads” connected to a separate control panel. If a detector reads a dangerous gas level, the panel raises the alarm by triggering external sirens and beacons. This sort of installation is suited to larger spaces like plant rooms, which have sufficient room for the hardware or remote stations that are usually unmanned. However, much confined space work takes place in more restricted areas, making compact portable units more suitable. Ease of use, with one button operation, means minimal training is required while increased safety is ensured. 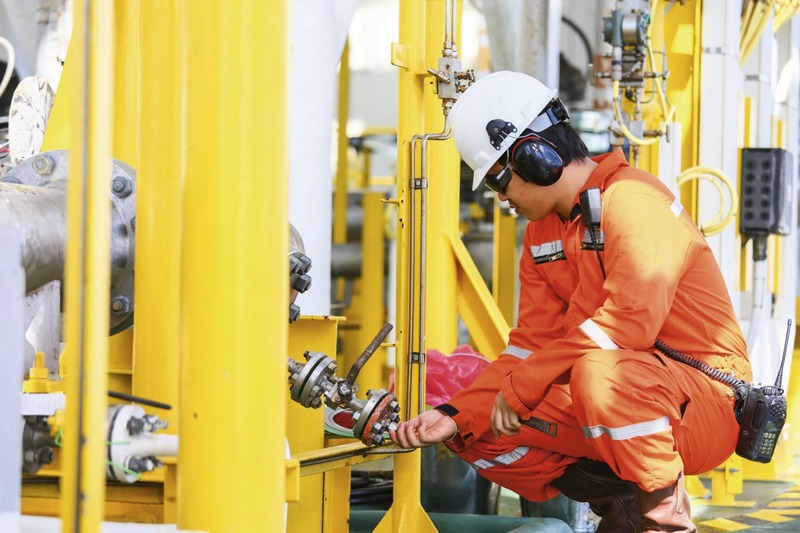 Combining one or more sensors with powerful audible and visual signals to warn when pre-set gas levels are reached, portable detectors can be carried or worn wherever they are needed. In addition, a compact instrument is easily carried in a confined space, ensuring that pockets of high gas concentration are not missed. Certain features should be expected in every portable gas detector. Clearly life-saving tools for demanding environments must be as tough as possible, with reliable electronics housed in impact resistant casings. While the need to leave gas sensors exposed to the atmosphere means that no instrument can be fully sealed, a high degree of protection against dust and water ingress is essential. Toughness notwithstanding, a well-designed detector will also be light and compact enough to wear for an entire shift. Finally, because of the difficulties of working in a cramped space, perhaps under poor lighting, instruments should be easy to use. No matter how advanced a detector’s internal architecture or data management options, personnel in the field should be faced with nothing more daunting than a clear display, simple, one-button operation and loud/bright alarms. As detailed below, combustible gas sensors come in the form of catalytic, metallic oxide semiconductor, and infra-red. Searching out explosive atmospheres, catalytic combustible gas sensors detect combustible gases by causing a combustion of gases within the sensor chamber. Not only do catalytic sensors offer good linearity, they can also react to most combustible gases. As resistance change to %LEL is relatively small, however, they do work better in concentrations between 1,000 and 50,000ppm. Also known as solid state sensors, Metallic Oxide Semiconductor (MOS) combustible gas sensors have been around for years. With a long operation life of three to five years this is a very resilient sensor that recovers well from high gas concentrations that could damage other types of sensors. As with catalytic sensors, readings of MOS sensors can also be affected by humidity and water vapour condensation. In addition, while not requiring as much oxygen as their catalytic counterpart, they too require oxygen to work accurately. Relatively recently these sensors have been appearing in some instruments. They work well in low oxygen levels or acetylene atmospheres; however, they are quite expensive. These sensors work by reflecting light off a mirror and measuring the amount of light absorbed during refraction. Infrared sensors typically require a constant flow across the sensing assembly and may be slow to clear from alarm. They are unable to detect hydrogen. An infra-red sensor calibrated for a simple hydrocarbon such as methane or ethane will not be accurate for vapour of higher molecular weight hydrocarbons, solvents or fuels. These sensors react to a specific chemical (substance). Chemically specific sensors are available for up to 30 different gases including chlorine, ammonia, carbon monoxide, carbon dioxide, nitrogen dioxide, nitric oxide, hydrogen cyanide, hydrogen sulphide and sulphur dioxide. The manufacturers technical information will indicate what sensors are available for their unit. These sensors have good linearity, which makes them very accurate for the substance they will react to. They can measure either large or small quantities and these sensors have a typical life span of approximately one year for many toxic gases and up to two years for hydrogen sulphide and carbon monoxide. As with all sensors, wet chem sensors are not without their limitations. The electrolytic fluid can freeze when left in environments having temperatures lower than 0ºC. Some chemical sensors may be adversely affected by altitude as they may be pressure sensitive. There are a number of different MOS sensors on the market and one has been developed for detecting toxic gases. Its make-up and operation is similar to the one used for the detection of combustible gases. However, the MOS broad range toxic sensor is capable of reacting to low PPM levels of wide range of toxic gases including carbon monoxide, hydrogen sulphide, ammonia, styrene, toluene, gasoline and many other hydrocarbons and solvents. MOS sensors cannot detect carbon dioxide or sulfur dioxide. The sensor is incapable of telling you what gas you have encountered or the concentration, only that the atmosphere may be hazardous to your health. Health and safety professionals and others have been using photo ionisation sensor technology for evaluating atmospheric hazards in the workplace since the 1960s. Life expectancy of these sensors is from one to three years. They are usually too costly to use in a multi-sensor instrument. For those of you who work in atmospheres that could be hazardous to your health, selecting the right gas detector could be the single most important decision you ever make. Your life could hinge on that decision so it is critical that the user/purchaser make themselves aware of the hazards that could be encountered and the proper sensors to protect them. 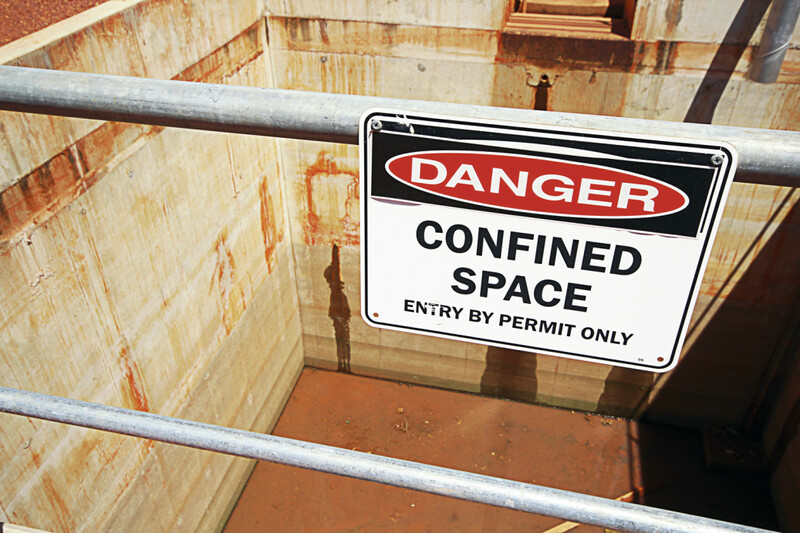 Data gathered in the late 1970s and early 1980s indicated that 65% of those who died in confined spaces were unaware that the space they were entering was a potential hazard. Over 50% of confined space deaths occur to the rescuers and over one third of the fatalities occurred after the space was tested, declared safe and the gas detector was removed. Selecting a gas detector should be based on the hazard faced. Unfortunately, far too many purchasers make one of the largest and most crucial single equipment expenditures without really understanding what they are buying. Sensors and their capabilities are the single most important factor when choosing a gas detector, yet more often than not decisions are based on size, price and features that have nothing to do with the instrument’s detecting abilities. Gas detectors come in a variety of sizes, shapes, colours and sensor configurations. For confined space work, it is necessary to monitor for oxygen deficiency/enrichment, combustible gases and toxics. An instrument capable of dealing with these three hazards is essential.